There have been countless times where I'd be racking my brain over the name of a movie I saw, and I don't like giving up. Usually, a few specifics can be remembered, but not enough to come up with a title on my own. 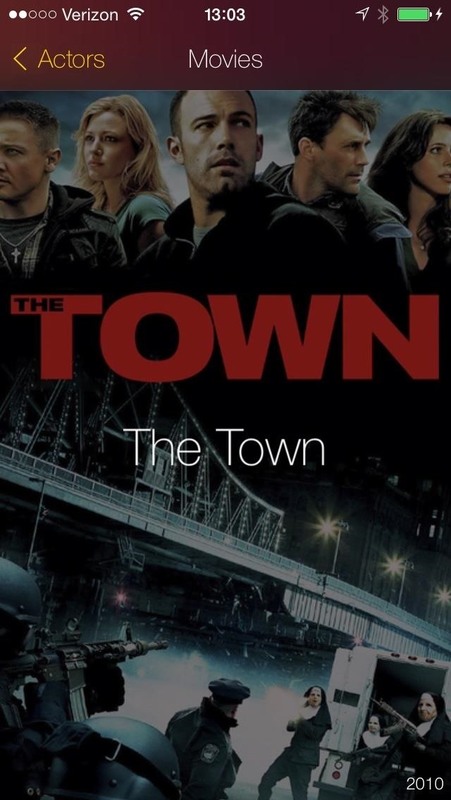 Now, things just got way easier with That Movie With, a new iOS app by Jay Hickey that lets you see any movie ever made between two actors. As long as you know the names of two people starring in the film (sometimes their first names will be enough to help you out), you can find out what movies they appeared in together. While you can do the same thing using a decent Google or Siri search, the "Two People Working Together" advanced search feature on IMDb was always my go-to option for cross-referencing actor names. 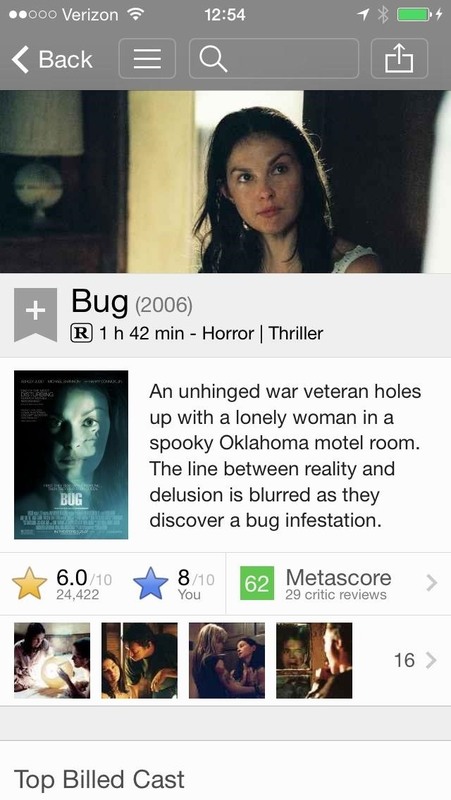 However, that feature is not included on the IMDb app for iPhone. That's what makes That Movie With so great. 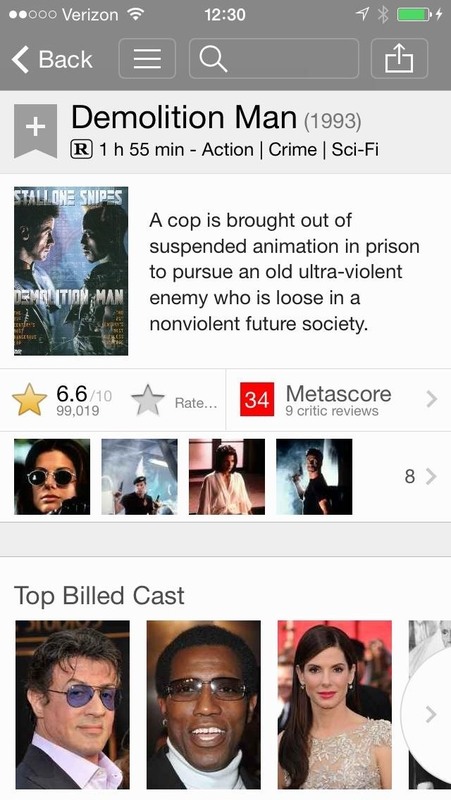 It's easy, fast, and uses IMDb's database as reference, so it makes a great companion app. 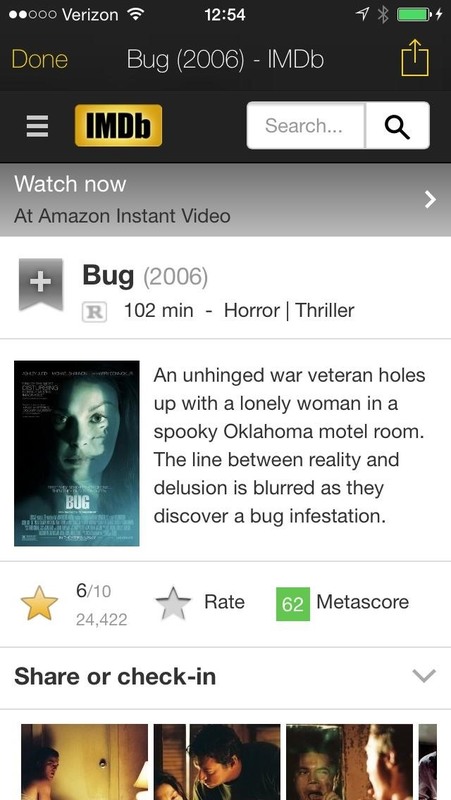 It even shows you the IMDb webpage for a film whenever you tap on a movie selection. 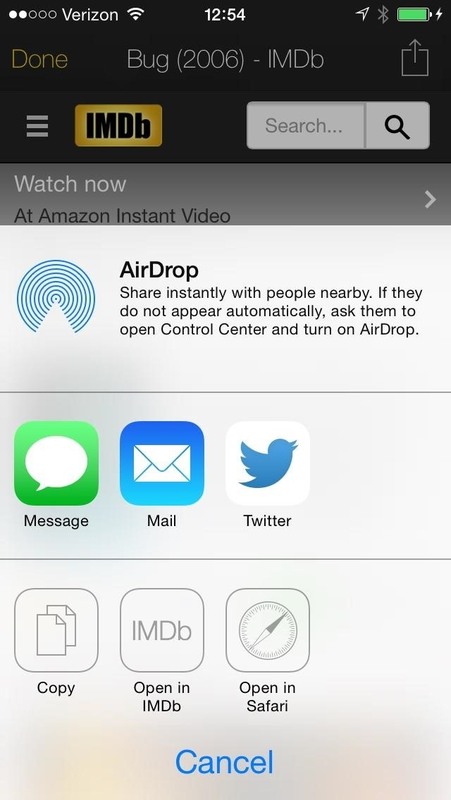 From there, you can click on the Share icon and open up the page in the IMDb app. Aside from functionality, a little part about what makes That Movie With so addicting is its beautiful design. It's simple and elegant. You can even search for one actors entire listing by swiping right one actor away, and then swiping left to reveal the remaining actor's filmography. However, That Movie With is not without its faults. For instance, it doesn't seem to work all of the time, especially more obscure roles. 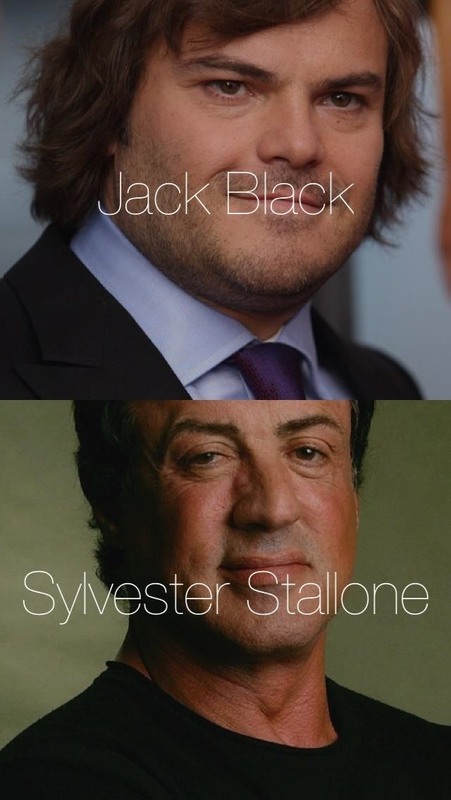 It could not pair up Jack Black and Sylvester Stallone for me, even though I know they both appeared in Demolition Man (1993). It also couldn't pair up Denzel Washington and Charles Bronson in Death Wish (1974). 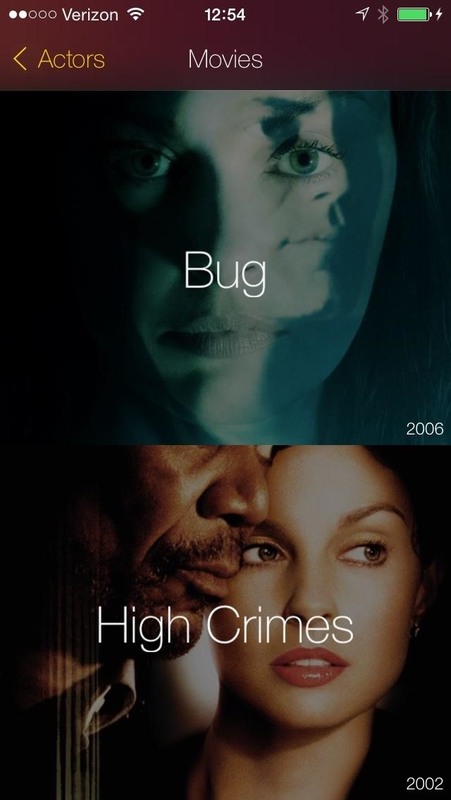 Also, even though this app is geared towards movies only, it'd be good to see TV shows incorporated. Even if it's just an additional option. A more advanced options menu would be great, too, for when you can only remember the name of one actor along with the director or a crew member. However, its simplicity is what makes it really easy to use, so I'm okay with it staying as is, with the minor inclusion of adding "uncredited" and small roles into the mix to help find the more obscure pairings. You can download That Movie With for free from the iOS App Store for your iPad, iPhone, or iPod touch, and only for iOS 7 and higher.